ATLANTA, December 11, 2017 – The American Academy of Advanced Thinking (AAAT) recently developed Master Class: Secrets to Becoming an Education Thought Leader for educators aspiring to become education thought leaders. 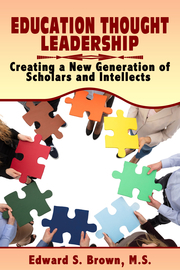 Each day, participants will receive an email authored by leading experts on how to create an education thought leadership strategy that helps educators become influencers, assist in teaching students how to become thought leaders for career success, and facilitate educators becoming thought leaders within new professions. “Quite often, educators complain about the political machinations, overbearing parents, and endless administrative responsibilities they confront regularly, and unfortunately these challenges aren’t going away. We created this Master Class as a means for educators to leverage their knowledge and experience to become more influential as well as create greater earning opportunities within and outside of the field of education,” said AAAT managing director Edward Brown. Participants may enroll in this Master Class by registering on the AAAT website at: ibarcriticalthinkingmethod.com. The American Academy of Advanced Thinking (AAAT) is an online applied research and development company that helps educators and students create intellectual property (IP) to become education thought leaders and subject matter experts to maximize their influence and income opportunities. Additionally, AAAT makes graduate level courses available to underserved individuals, and was founded in Atlanta, GA in 2016.